Sometimes it’s difficult not to judge a CD or a book by it’s cover. 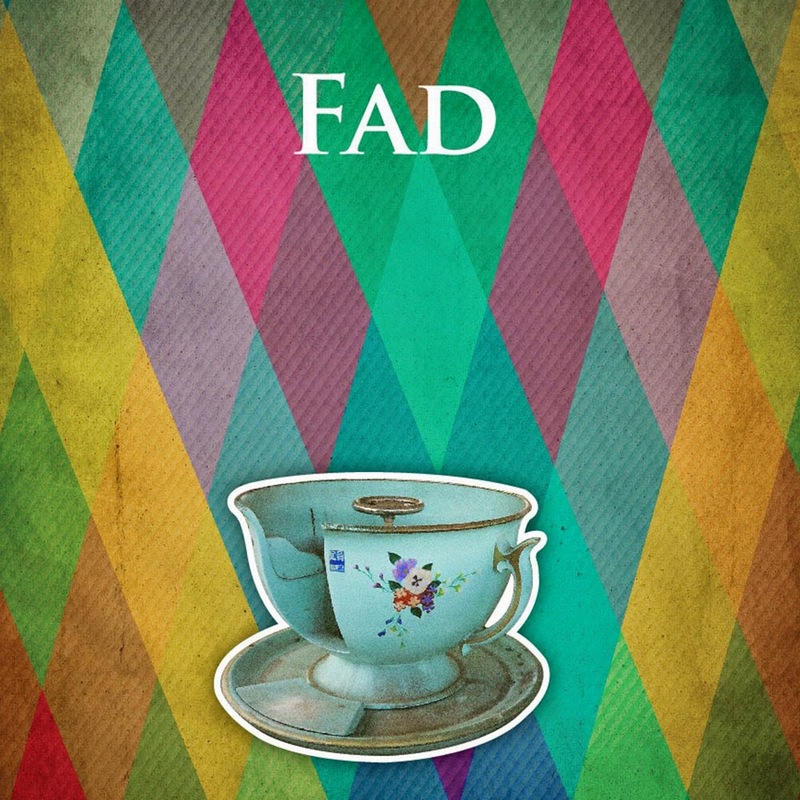 Fad’s new album boasts a kaleidoscope of colors in a tessellating triangular background, followed by an iconic British tea cup found on a spinning tea cup ride, and a pop up of a traditional carousel on the inside of the CD jacket. Upon first impressions, there is no doubt that this band is very rooted in their British culture and indie rock influences. The band is essentially traditional ​British indie rock but with an experimental and dream-like quality to most of their tracks. ‘As Great As Those Great Volkswagen Ads’ (Track 1) starts off buoyant and classic but ends up drab and boring, almost using several qualities as a filler. Overall, personally though this track was the most disappointing. However, ‘Sofia’ (Track 2) gives us a well-honed balance of radio effect and spoken word, controlled drum work, chorus vocals, and repetitive strumming guitar. 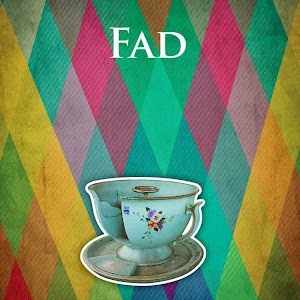 As we gradually get further along Fad’s album, we are slowly but surely transported into a relaxing plethora of songs focused on dreams and sleep. From a more gritty and aggressive ‘Dream In Dream’ (Track 5) that carries an electronic video game-like sound over ragged guitar melodies, to the end of the album, the musicality begins to become more experimental and free-flowing, incorporating a couple more genre-based instrumentation such as those from post-rock melodies or alt rock. ‘So Tired’ (Track 7) and ‘Sleep Out’ (Track 8) both have a calm and clean airy composition, emotionally resonant with the listener, with sensual and haunting vocals. Fad’s lyrics are all quite cryptic. Even referring to Radiohead and mirroring some of their lyrics from ‘No Surprises’, and ‘Creep’. The only criticism I have for the band from this album would be their extremely broken and unrelating selection of songs, the transition from Track 1 and 2 to Track 3-8 is much too different and slightly difficult to follow. Although the whole image of the CD and cover exude a certain aura and give people something to expect, you play the CD and you aren’t sure if you were hoping to listen to something upbeat and established or something to relate to your sad and thoughtful emotional state in the late evenings.